Berry Good (베리굿) currently consists of 6 members: Taeha, Johyun, Seoyul, Daye, Sehyung and Gowoon. The band debuted with the single ‘Love Letter’ in May 2014. They are under JTG Entertainment. – She was born to a rich family and grew up in Busan. – She represents a blackberry. – She can play the piano since she was a kid. – During elementary school days, she participated in musicals. – During high school, she was the vocal singer in a band and performed at different festivals and events. – She got interested in Korean traditional music, studying trot and pansori. – She worked as a model for school uniforms since 2012. – Her hobbies are reading and watching movies. – She was one of the original members, with Gowoon. – Taeha’s ideal type (according to the other members): A mature guy, a stylish man, someone who’d show attention to her. – She was born in Bundang-gu, Seongnam, South Korea. – She represents a pink berry. – Her hobby is skating. – She was introduced as a new member to the group on October 25, 2016. – Her English name is Jennifer Shin. – She appeared in Golden Tamborine(cameo) Mnet 2017 and SNL season 8 (tVN 2016). 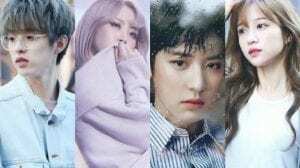 – She is the girl in JinWon – Play Hot & Cold (ft. Lee Jiae) MV. – Her also hobby is drawing & playing games. – She lived in the USA for 2 yrs. – Her specialty is ice skating, swimming, and skiing. – She and Taeha are close friends. – She is a fan of Girls Generation, especially Yuri. – She is known for her good proportions of her body. – Before she became an idol, she practiced speed skating and promise to become a skater but because of injury, she had to quit. – She has an older sister, AOA‘s Yuna. – She represents a raspberry. – She was the runner-up at the Korean edition of The Voice Kids. – She joined the band in January 2015, after Subin, Iera and Nayeon left the group to focus on their studies. – She represents a yellow berry (namely a lemon). – While living with her grandmother, who could sing trot, she decided to become a singer. – Her special talent is doing impressions. – She wrote the lyrics for “Fall in Love” from second mini-album “Glory”. – She ranked 87th in the 100 most beautiful face of 2016. – She represents a blueberry. – She speaks Korean and Chinese. – Her hobbies are watching dramas and collecting makeup. – She represents a green berry (namely a green apple). – Her hobby is writing lyrics. 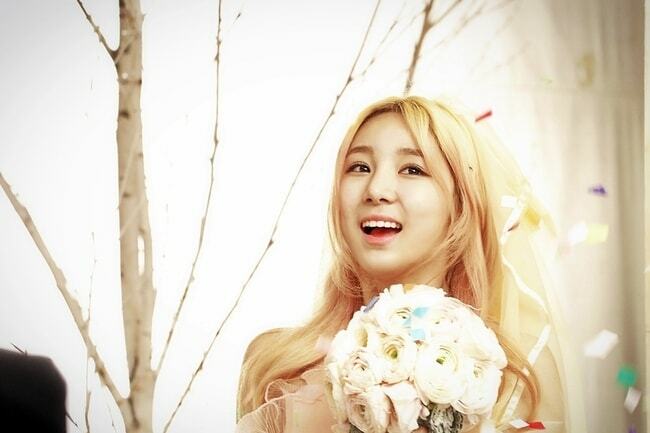 – She and Taeha are the only 2 members that were in the band since debut. – Gowoon’s ideal type (according to the other members): A tall and funny guy, with a nice voice. – She is a former member of D-U. – She modeled for an online clothing store before joining Berry Good. – Her specialty is writing lyrics. – In January 2015, Asia Bridge Entertainment stated that Subin, Iera, and Nayeon had left the group to focus on their studies. – Subin’s ideal type (according to the other members): A tall man, who takes good care of himself. – She has two older sisters, A-reum and Da-un. – She was a DSP Media trainee. – In January 2015, she left the group to focus on her studies. – Iera’s ideal type (according to the other members): A nice guy, with deep thoughts. – She left the group in January 2015, to focus on her studies. – In 2017 she appeared on Mnet’s talent show ‘Idol School’. – Nayeon’s ideal type (according to the other members): A guy that gives her infinite love, someone who gets close to her first. Who is your Berry Good bias? one of mu bias bands!!! thanks for making this profile! Shin Ji-won (서유리); it’s a mistake in her name in hangeul 서유리 is Seo Yuri and Shin Jiwon is 신지원. All berry good members audition for MIXNINE but only Kim Hyeon-jeong, Seo Yu-ri, Shin Ji-won Pass. – Seo Yuri Eliminated MixNine in eps 7 with Co-ed ranking 139. – in Episode 5 Kim Hyeon jeong got kicked out from Vocal line to Rap line. 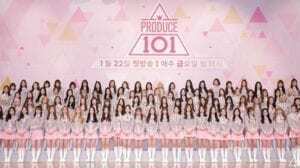 Berry good members audition for Mixnine but only Kim hyunjung, Shin Jiwon and seo yuri pass. Seo yuri eliminated in ep 5 while hyunjung eliminate in ep 10. -Her english name is Jennifer Shin. -She appeared in Golden Tamborine(cameo) Mnet 2017 and SNL season 8 (tVN 2016). -She is the girl in JinWon – Play Hot & Cold (ft. Lee Jiae) MV. -Her also hobby is drawing & playing games. -She lived in USA for 2 yrs. -Her speciality is ice skating, swimming, and skiing. -She and Taeha are close friends. -She was knowed by her good proportions of her body. -She got eliminated in ep.13 of Mixnine were she got the ranked no. 24. -Before she become an idol, she practiced speed skating and promise to become a skater but because of injury, she had to quit. Ive seen a video where Seoyul introduces herself as the dancer of Berry Good along with all the center dance time and the dance break in Dont Believe i think its safe to say that she is in fact the main dancer rather than it being Sehyung. I also believe they mentioned somewhere that she did made the choreo fro bibbidibobbidiboo. To me personally Taeha and Seoyul seem like the avid dancers, Sehyung is fine but i dont believe shes the dancer of the group. But i also doubt that either Sehyung or Dahye are rappers, yes they covered Iera and Subins rap parts in the old songs but i think theyre both still just vocalists. Johyun might be the visual or the face of the group. Umm i think its daye, seoyul, or johyun must be the FOTG becuz they are the chosen participants to perform in mixnine and also i think that FOTG means popular in the korea or the one who become a participant in a reality show like mixnine, the unit, and pd101. FOTG is the post promoted member in variety shows and tv aka the most popular. but the talent tv shows is a different thing, because to those are sent the most talented member of a band not necessary the most popular. also, FOTG is not a mandatory position and only some bands have it. because some bands promote about equally all its members. Did Berry Good win any award so far? You put Sehyung’s instagram as Seoyul’s instagram. Ummm…the position change since johyun added in the group, I also based in korean and namu wikipedia…so this are position know. dang, so sehyung isnt the visual anymore?!?!? Ummm…i think she ia not in the dance line is stated in korean wikipedia and johyun is in charge of visual in the group. And it would make sense if there was another lead dancer and lead vocal but I don’t know berry good enough to determine who would they be. Didn’t taeha act in a drama called circle? There’s too many Os on the one on her profile.